Visiting Royal Botanic Gardens and Melbourne Zoo will get you outdoors. Melbourne Museum and Old Melbourne Gaol are good opportunities to explore the local culture. And it doesn't end there: brush up on your military savvy at Shrine of Remembrance, admire the striking features of Royal Exhibition Building, enjoy breathtaking views from Eureka Skydeck 88, and explore the world behind art at National Gallery of Victoria. For other places to visit, reviews, traveler tips, and tourist information, go to the Melbourne attractions planner . Mumbai, India to Melbourne is an approximately 17-hour flight. You'll lose 4 hours traveling from Mumbai to Melbourne due to the time zone difference. Prepare for much colder weather when traveling from Mumbai in May: high temperatures in Melbourne hover around 20°C and lows are around 9°C. Finish up your sightseeing early on the 5th (Sun) so you can travel to Hobart. Kick off your visit on the 6th (Mon): look for all kinds of wild species at Bonorong Wildlife Sanctuary, see the interesting displays at Museum of Old and New Art, and then admire the natural beauty at Royal Tasmanian Botanical Gardens. 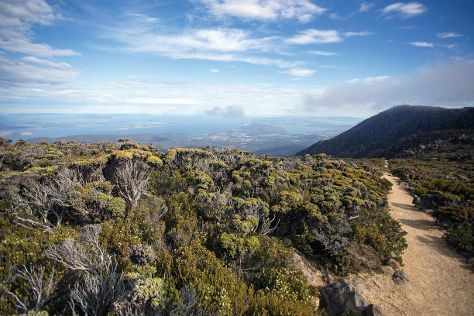 Get ready for a full day of sightseeing on the 7th (Tue): stroll through The Pipeline Track, take in the awesome beauty at Mount Wellington, then steep yourself in history at Cascades Female Factory Historic Site, and finally get to know the fascinating history of Battery Point Sculpture Trail. To see more things to do, other places to visit, and more tourist information, read our Hobart trip app . Fly from Melbourne to Hobart in 4 hours. Alternatively, you can do a combination of ferry and car; or do a combination of ferry and bus. May in Hobart sees daily highs of 18°C and lows of 7°C at night. Finish your sightseeing early on the 7th (Tue) to allow enough time to travel to Sydney. 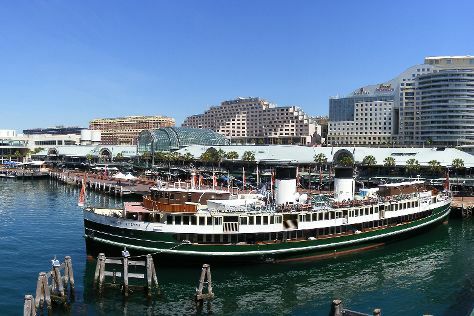 Get some cultural insight at The Rocks and Australian National Maritime Museum. Get outdoors at Bondi Beach and The Opera House to the Botanic Gardens Walk. Next up on the itinerary: take a stroll through Darling Harbour, admire the natural beauty at Royal Botanic Garden Sydney, kick back and relax at Manly Beach, and snap pictures at Sydney Harbour Bridge. To see ratings, where to stay, more things to do, and other tourist information, read Sydney planning website . Traveling by flight from Hobart to Sydney takes 4.5 hours. Alternatively, you can do a combination of bus, ferry, and train; or do a combination of bus and ferry. Expect somewhat warmer temperatures when traveling from Hobart in May; daily highs in Sydney reach 24°C and lows reach 14°C. You will leave for home on the 11th (Sat).